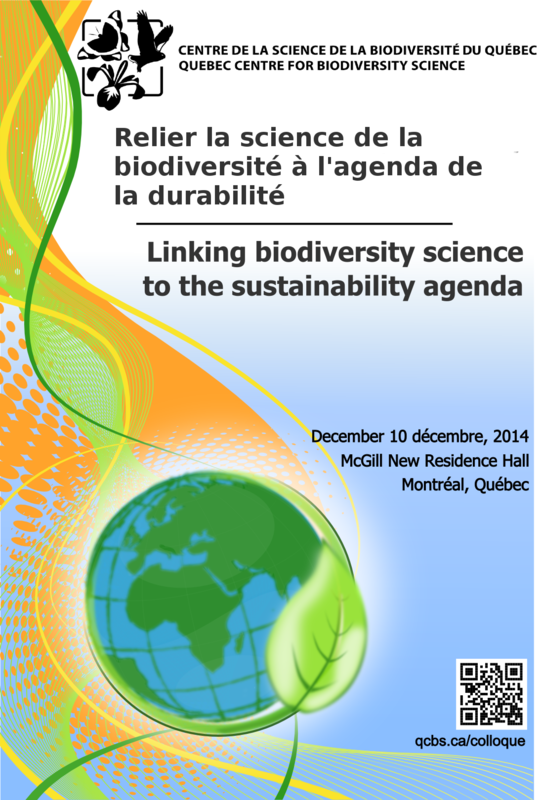 The event will be held at the New Residence Hall of McGill University on December 10, 11 and 12, 2014. 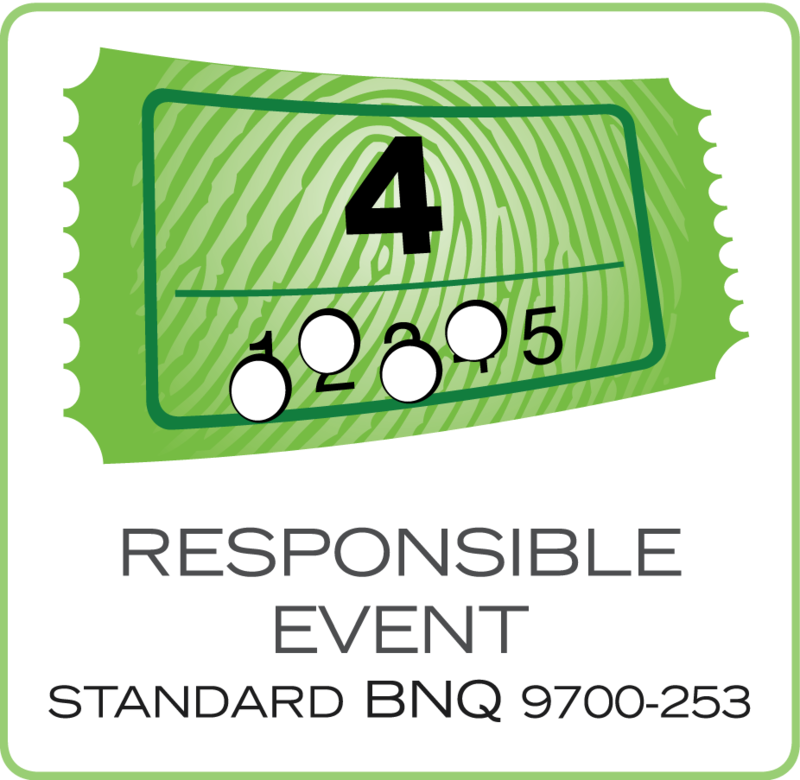 Breakfast, lunch, and coffee breaks are covered for each of the 3 days and networking cocktails for Dec. 10 and Dec. 11. The winners of the QCBS symposium prizes! The winners of the photo contest! The workshop will be a forum to evaluate and strengthen the role of biodiversity science in attaining local, regional and international goals for sustainable development. The event will 1) present perspectives from the researchers and stakeholders, and 2) foster dialogue between participants to achieve the shared knowledge needed to attain sustainable development targets. A world cafe session will offer the participants the opportunity to share their knowledge and co-create ideas to advance collaboration and partnerships. What are the issues in linking biodiversity science to the sustainability agenda: identify issues and problems to address? What are the key resources (funding and people) needed to address them? 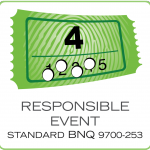 What are the new multi-stakeholder projects that research networks, like the QCBS, can develop and support with what partners? 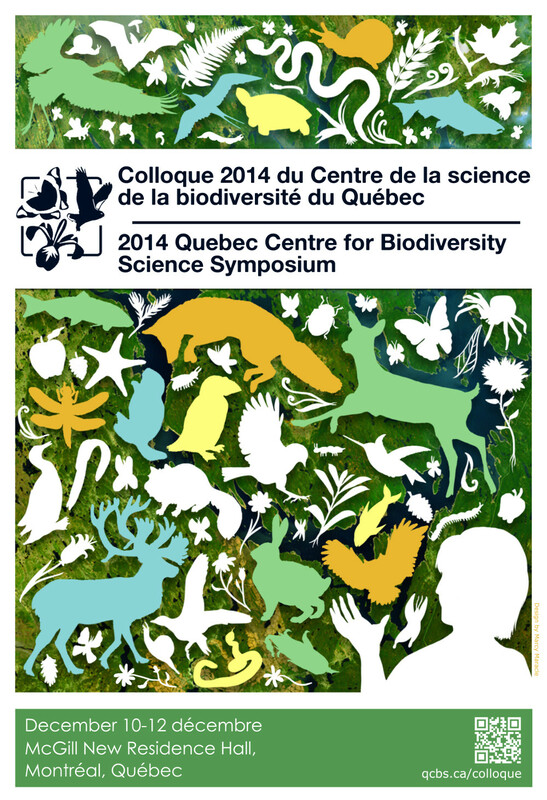 The following two days will be dedicated to the 2014 QCBS symposium. 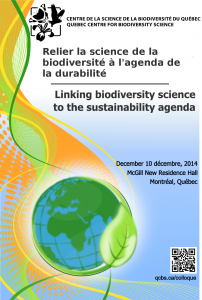 Dr Bell is currently a professor and Chair of the Department of Biology at McGill University. He was appointed to the Molson Chair in Genetics at McGill in 1992, elected to the Royal Society of Canada in 1994, elected President of the Canadian Society for Ecology and Evolution in 2006, and most recently, he was elected to the American Academy of Arts and Sciences for 2014. He also received several awards, including the NSERC Award of Excellence (2007) and NSERC Herzberg Medal (2008). He is currently the President-elect of the Royal Society of Canada. His current 5 year-long research focuses on adaptation, extinction and global change in order to study the ways in which populations adapt and evolve in response to a changing environment. His research aims to predict how populations will respond to rapid environmental change. Environmental Innovation training and research program, QCBS and the NSERC CREATE which aims at enhancing Canada’s prosperity through innovative environmental assessment, monitoring and management are organizing a panel following QCBS students’ request. 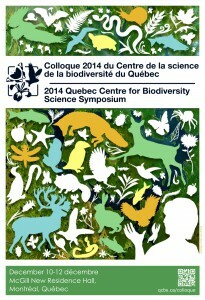 It will be the occasion for biodiversity professionals to share their experience with QCBS students.